The times, they are a-changin'. And faster than ever at that! Back in 2011, the ex-Cisco futurist Dave Evans predicted that there will be roughly 50 billion connected devices by 2020. Observing the quick pace at which the Internet of Things is evolving each and every day, we dare to fully agree with his forecast. Actually, we are more inclined to believe that the amount of all the smart TVs, humidifiers, air conditioners, fridges, thermostats, security cameras, door locks, toasters, and anything in-between might easily hit the 50-billion mark even earlier. Yep, the smartphone market is already oversaturated, so it's only logical to assume that even more R&D resources will be shifted towards the Internet of Things. Don't believe us? Here are some of the more noteworthy events that happened on the IoT scene in the past week or so — hopefully, these will convince you that connected devices are about to become a household name. Pardon the joke. After making their ways to your pockets, the major tech companies now want to get in your homes, too. One way to do is by coming up with a smart, voice-controlled home assistant that double as IoT and multimedia hubs. First, Amazon treated us to its Echo, then Google unveiled Home, and it seems like Apple wants a slice of that pie as well. Rumor has it that Cupertino is also prepping such a voice-controlled IoT hub on its own. If there's such a device in the cards, it's being kept under a thick drape - we know next to nothing about it. Still, it's expected that it will feature a well-known voice assistant - Siri. It is expected that Apple will unveil a more open SDK for the assistant during the upcoming WWDC 2016 dev summit in June. It will allow developers to dabble with other connected IoT devices more freely. Probably the device itself will be unveiled then, too, though one can never know for sure. 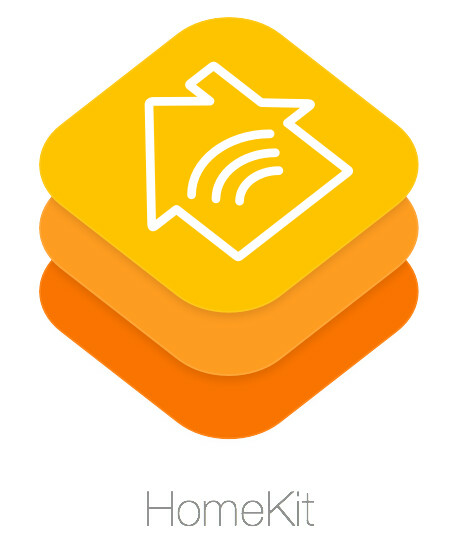 We also heard that Home, a dedicated HomeKit app, might also be announced as a part of iOS 10. It will act reportedly be a hub for everything HomeKit-related, allowing you to control lights, smoke detectors, door locks, thermostats, air conditioners, TV sets, and so on. If this is not a clear sign of the times to come, we don't know what is. Atari, the legendary pioneer of video game consoles, just announced that it will be diving head-first in the Internet of Things and will release a line of connected devices. Atari will be collaborating with Sigfox, France-based company specializing in dedicated IoT communications. "Atari, which has disruption rooted in their DNA, was quick to envision the transformative role that the Internet of Things can play in interactive entertainment," stated Ludovic Le Moan, the CEO of Sigfox. "Our network bridges the virtual and physical worlds simply, reliably and inexpensively and this collaboration will launch a new dimension to gaming, while supporting features that are limited only by the imagination." Well, bring it on, Atari! Apart from being one of the key players on the smartphone chip market, Qualcomm is a core participant on the Internet of Things front, or as the company puts it, the Internet of Everything. Well, there's one certain way to ensure your well-being on that market, and it's chipset manufacturing - all these smart gadgets need brains! At Computex 2016, a computing trade show traditionally held in Taiwan, Qualcomm just unveiled its newest chipset that is intended for connected gadgets. The new QCA4012 Wi-Fi system on a chip might be small in size, but its bag of features is quite deep. It has a dual-band Wi-Fi module, which will be quite useful in environments with lots of signal interference. Additionally, the module's a low-power one, so rest assured that it won't be an electricity guzzler. Qualcomm's newest chipset has built-on software support for all the major IoT platforms out there: Apple's HomeKit, Google Weave, and AllJoyn, as well as several other cloud-based ones. Just like Qualcomm's previous IoT systems-on-a-chip, this new one is another prime candidate for smart thermostats, home security hubs, and lighting controllers. We won't be surprised to see it inside other connected gadgets, though! Probably anyone owning a connected device or has gone through a cumbersome manual setup. Indeed, connecting all of the dots together and making them work in unison might not be as easy as manufacturers usually claim. This is where Cirrent comes into play. Its new connectivity standard aims to make sure that any future smart devices will automatically connect to Cirrent's global cloud network via your broadband Wi-Fi network right out of the box. There will be minimal user intervention during the process, if any at all. Think of it as a nuisance-free variation of "Plug and Play", but for connected gizmos. How does Cirrent do this? First of all, the device has to have Cirrent's Wireless Connection Manager on board, which allows for an automatic cloud connection to take place. If this crucial requirement has been met, everything's pretty much set. No passwords will be required either - Cirrent says devices will hook up to a separate Wi-Fi connection provided by a local Wi-Fi router or hotspot. Said dedicated networks are courtesy of a collaboration between Cirrent and a large number of internet providers and router manufacturers from all corners of the world. Yes, we know, a gadget's ability to hook up to your password-secured Wi-Fi without a password is certainly raising a few eyebrows, but Cirrent seems to be pretty focused on security, too. Each device will be actively making use of "Cirrent’s authentication framework for validating products, Cirrent’s Wi-Fi management subsystem to securely handle Wi-Fi credentials, and Cirrent’s framework for monitoring ongoing product security". Sounds good enough to us! And finally, let's take a look at one of the curious new ASUS products that got announced the other day - the peculiar ASUS Zenbo robot. What will it do, exactly? Luckily for all of us, it's not a murderous machine controlled by a self-aware AI, destined to restlessly hunt for John Connor and his associates and dooming humanity. Quite the contrary, it's a likable home appliance marketed as a "smart little companion". Capable of moving around the house in order to "bridge the digital divide between the generations" living under the same roof, ASUS' robot could also be used as a remote-controlled security camera, a hub for all other connected appliances to connect to, and even as an interactive companion for your kids. 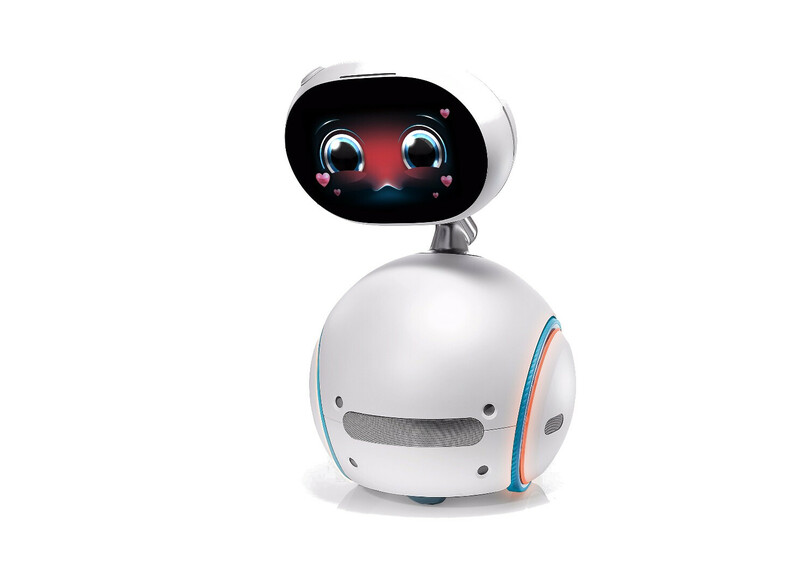 For example, the cute robot can entertain children by singing lullabies and other songs, tell intriguing interactive stories, and even stimulate kids' imagination by allowing them to play educational games on its display. Yep, the robot's face is actually a display, and apart from showing a friendly face at most times, it uses it to display all kinds of accompanying images and video. Oh, and Zenbo can also dance - is there something funnier than a dancing robot, huh? Additionally, it could be of immense help to elder folks. 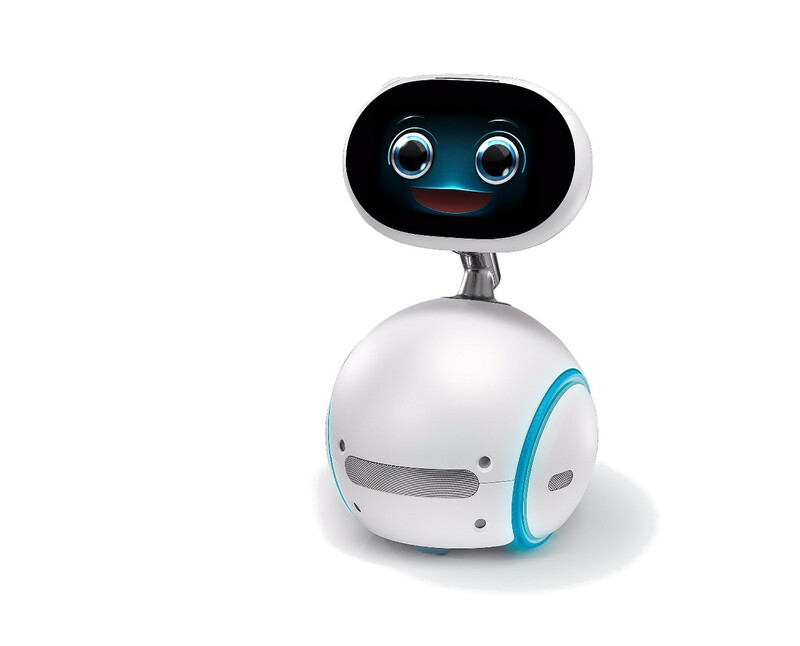 Zenbo is able to understand spoken commands and issue appropriate responses, make video calls, remind about doctor appointments, medications schedules, and so on. It has a built-in camera, so you can tune in whenever you like and check up on your relatives, or even make video call - they'll be able to see you on Zenbo's built-in display, while its camera will stream back to ou. The robot also comes useful in emergency situations - for example, if it detects that someone in the house falls,it will quickly alert a specified relative about the situation. The relative could then remotely control the smart appliance and use it to check up if everything's okay. Definitely brimming with potential, this one! Given its starting price of $599, it's a bit cheaper than your regular top-shelf smartphone. Not only manufacturers aware that IoT is the next big thing, but job seekers seem to be on the same page, too. It seems that in Australia at least, job searches for IoT, VR, and AI in April 2016 have skyrocketed by 376% in comparison with April 2015. CIO reports that the main reason behind the exploded popularity of these terms is due to the increasing public awareness of these new technologies. Naturally, this is making work in the field pretty lucrative. “The growth in the VR, AI, and IoT fields are repeatedly making headlines and as businesses start to use these technologies in innovative and unique ways, the workforce is wanting to be a part of how these technologies are changing the way we communicate, shop, drive, work, and more,” A/NZ managing director pointed out. We suppose that the recent tendencies observable in the Land Down Under could be a foreshadowing of what's to become a global trend in the near future.